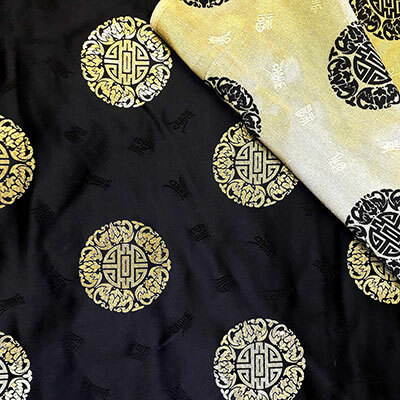 Beautiful brocade fabric set in a traditional Chinese pattern of detailed circular emblems. The circles measure three inches across and are spaced neatly apart at intervals of four and eight inches. 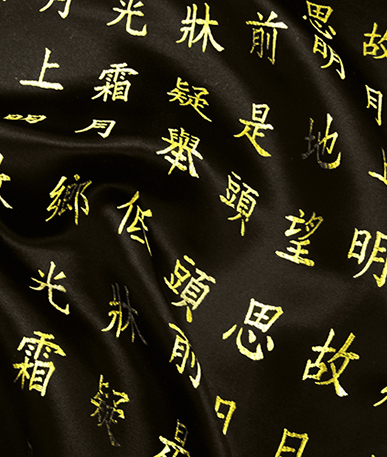 The background is decorated with Chinese typography, embroidered in a slightly lighter shade than the main colour. This fabric is fully reversible; the back shows the same pattern in a stunning gold shade and the emblem in the dark shade used in the front. 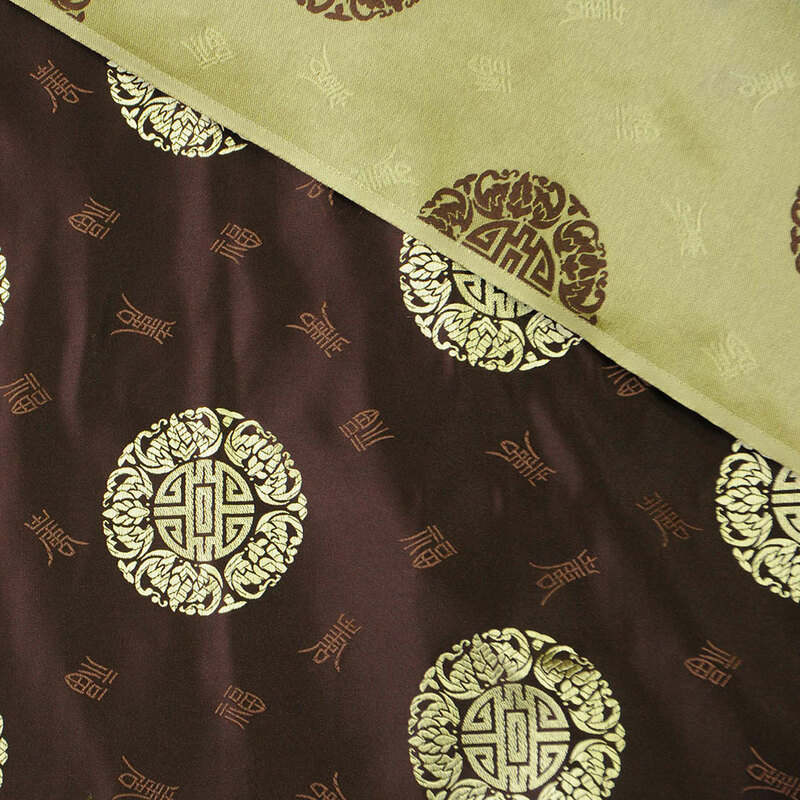 The width of the fabric is 75 cm, an ideal with for table runners for home interiors or restaurants. Matching items like cushion covers, seat covers, table cloths and even decorative napkins would make great additions. 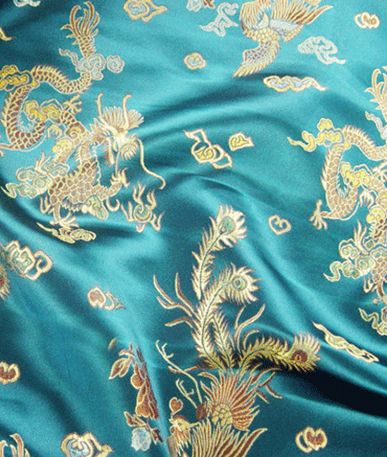 For fashion wear this fabric could create a variety of garments. Smart blazers or fitted blouses would make a real statement piece. Or a simple “A” line skirt for a simpler project. Chinese look brocade has filtered through to the high street again, after a 90s resurgence. 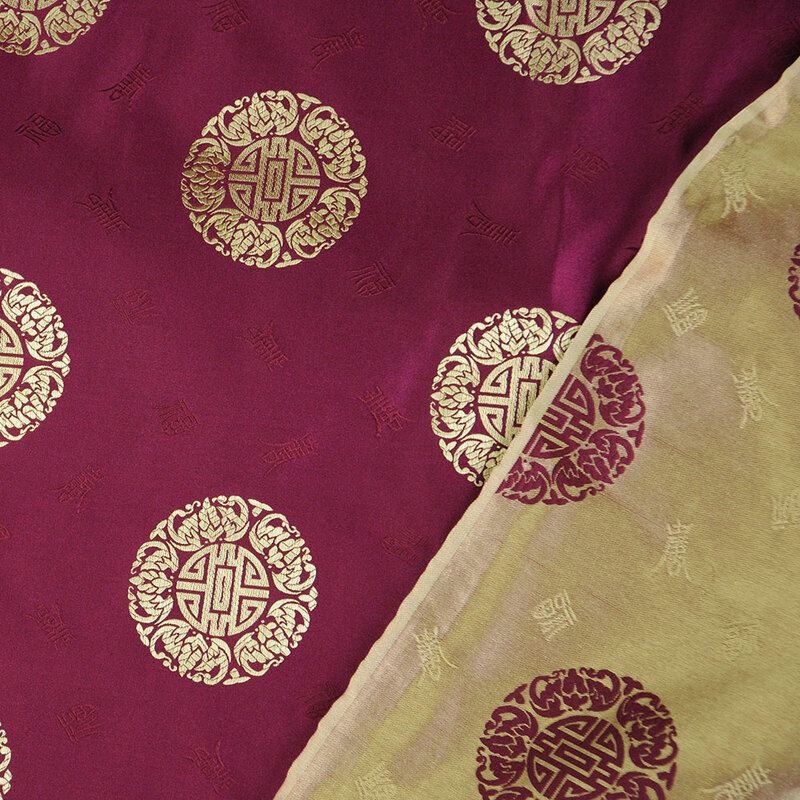 You will find items from shoes to dresses to make up bags in beautifully embroidered Chinese fabric. 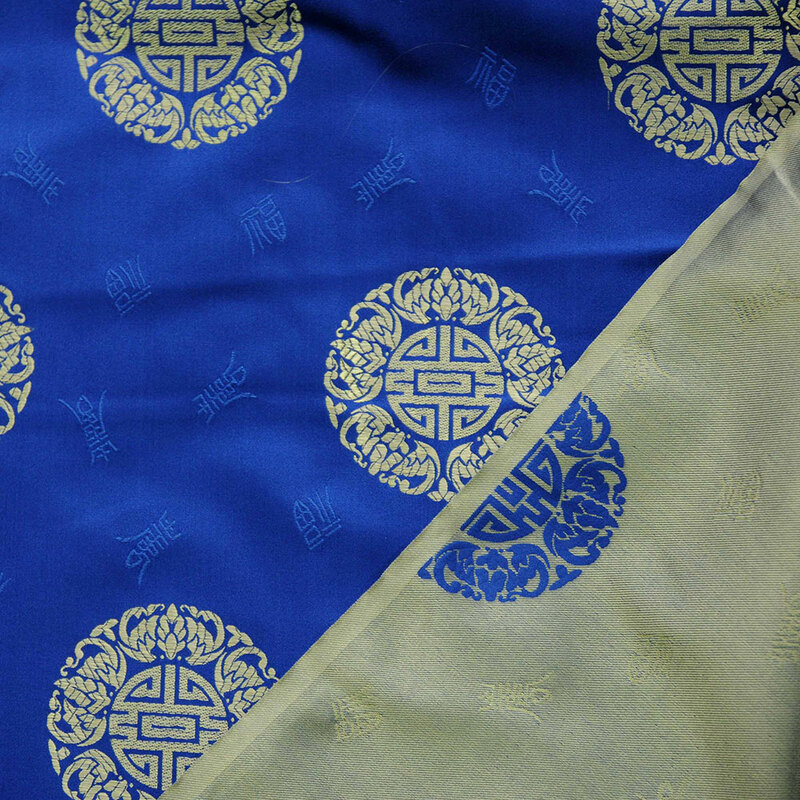 The most popular designs are dragons, Chinese blossom, lettering, and medallion emblems. The fabric is available in four colours. Vivid royal blue, rich burgundy, jet black and deep chocolate brown. Pop a sample in your basket so see the great quality.